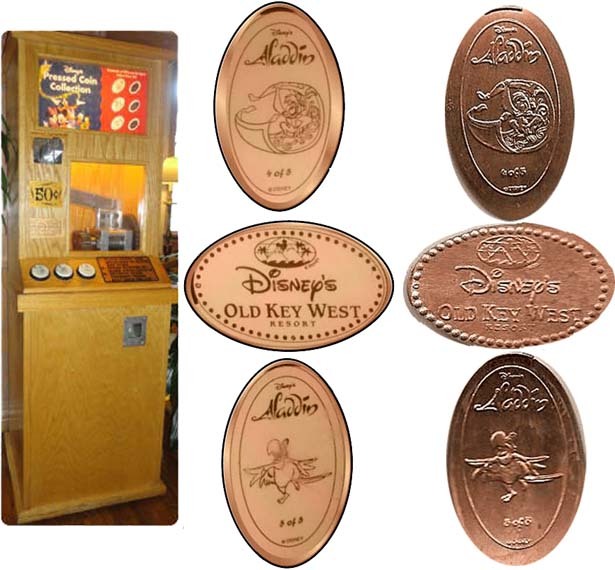 Machine 1 - Abu (Aladdin 4 of 5), Old Key West Resort Logo, Iago (Aladdin 5 of 5). Machine 3: (QU) Pirate Mickey with biord on shoulder. Retired 2 - Donald Duck "Happiest Celebration on Earth."